Garden and Gun Magazine commissioned Hannah George to illustrate their latest advertorial for the city of Louisiana. 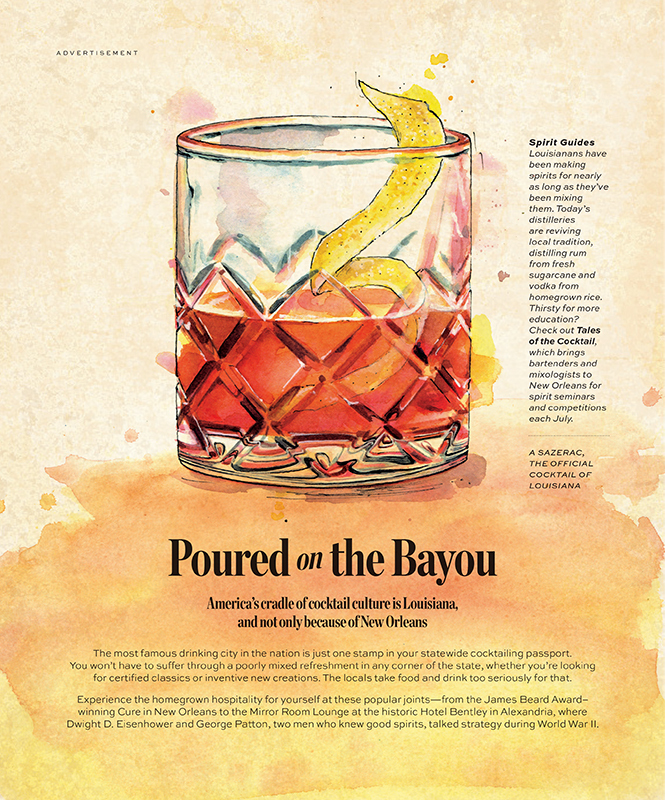 Hannah's sophisticated, fluid artwork illustrates the Sazarec, the official cocktail of Louisiana, which is sure to entice readers to the bar scene of New Orleans. To see more of Hannah's work, click here. Hannah George is represented by Meiklejohn. Published on 4 April 2019.